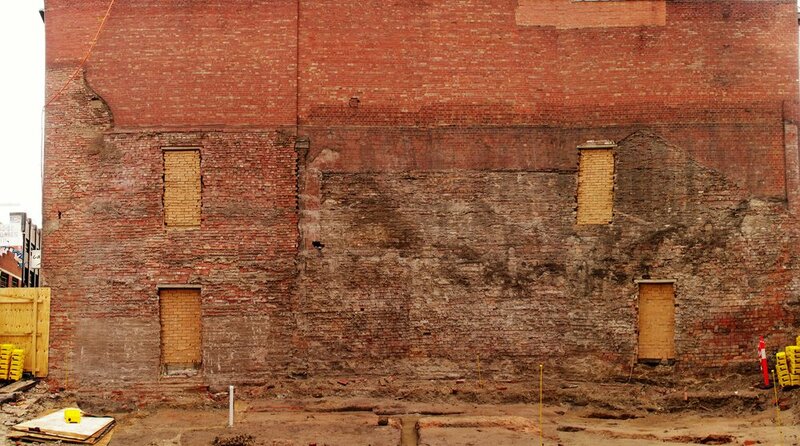 In 2016 Green Heritage was engaged to conduct pre-development archaeological investigations on Little Lonsdale Street, Melbourne. The site was previously the home of Peter Mansergh and his family. Peter Mansergh was the first horse doctor in Melbourne so the site was expected to have the family home, livery stables and another commercial residence present in the archaeological signature. In total 7161 artefacts were recovered from the site, with 2733 artefacts coming from a cesspit near the family kitchen. Some evidence was recovered that displayed Mansergh's commercial use of the site, however it was much less then expected. 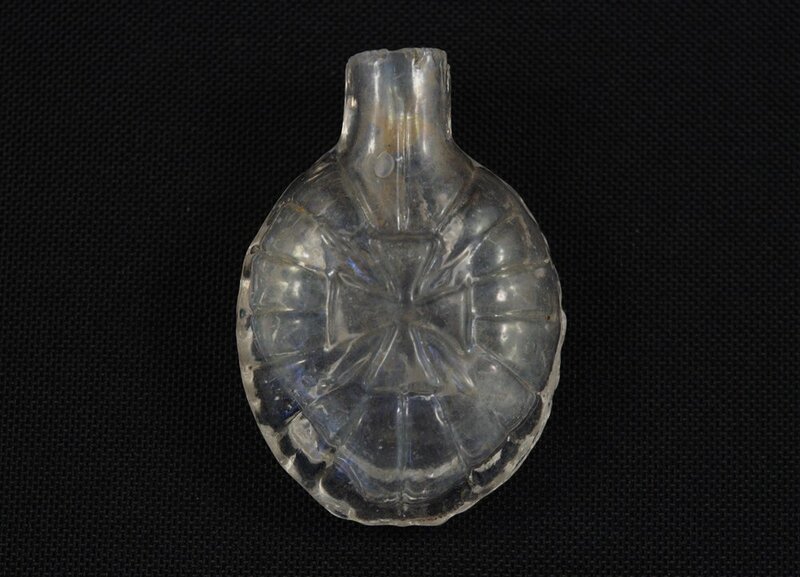 Small clear bottle or flask excavated from a central rubbish pit. A bluestone lined cesspit possibly associated with the stable livery. This object was excavated from the bluestone lined cesspit. It would have been used in the treatment of horses. Roger and Gallet Perfume Bottle from Paris. Michelle excavating the cesspit which uncovered 2733 of our artefact assemblage. Syringe plunger excavated from phase one context. This bottle was manufactured by E Rimmel in London, England. In 2014 Green Heritage was engaged by Hickory Group to conduct archaeological monitoring for the Parque apartment complex at the VHR listed former Royal Victorian Institute for the Blind site at 557 St Kilda Road, Melbourne. During monitoring works a number of archaeological remains were identified, ranging from ephemeral 1850s settlement on St Kilda Road, an 1880s cottage hospital, garden and playground features plus a WWII air raid trench. The site was recorded using Structure From Motion (SFM) photogrammetry software to develop 3D models of archaeological features. Indelible ink bottle "Blackwood London"
In 2013 Green Heritage was engaged by Melton City Council to conduct pre-development archaeological investigations at the Drover’s Hut H7822-0160. The Drover’s Hut was also located within a registered Aboriginal place VAHR 7822-1130. Both sets of cultural heritage values were investigated with a single context recording and excavation methodology. During the course of the investigation a previously unknown bluestone structure was found surrounding and beneath the Drover’s Hut. The bluestone structure has been identified as the Sceales family homestead, likely built in 1841-1842. In testing for the presence of ancilliary structures a relatively intact yard surface was also identified. Approximately 4,000 historical artefacts were recovered from historical contexts and topsoil and a further 400 Aboriginal artefacts were also recovered historical contexts and topsoil. A voluntary Cultural Heritage Management Plan (CHMP) and an Historical Archaeological Survey were completed at the Chepstowe Wind Farm in September of 2014. Due to extremely tight time-frames this project was delivered in a extraordinarily quick turn around. From the first steps of the survey to the issuing of the approval notice, Green Heritage went the extra mile with the Traditional Owners, client and landowner to ensure that the CHMP was delivered to best practice and approved within six weeks from start to finish.